The first and second wives of Prince Charles photographed together at Ludlow races in 1980. 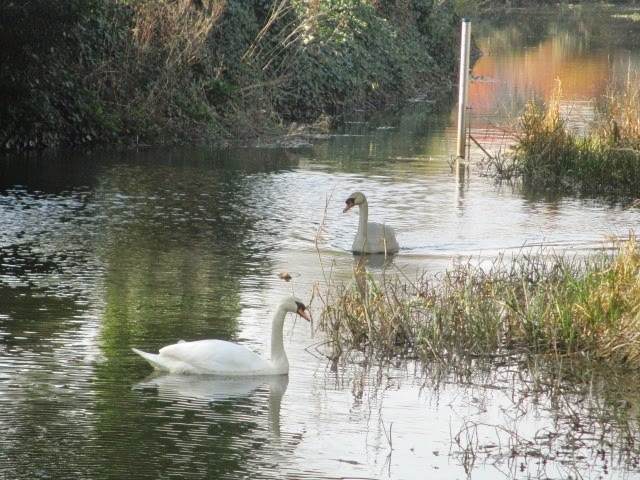 BBC News reports that river dredging has begun on the Somerset Levels as part of a package of measures aimed at preventing a repeat of the winter floods. The rivers being dredged are the Parrett and the Tone. With apologies to Disgruntled Radical for borrowing his pun. He can use my mallard imaginaire one day. Wandering the backstreets of Melton Mowbray I was taken with this old shop, which is in the process of being converted into someone's house. What I didn't realise when I took the photo was that I was standing right beside what had been the course of the Oakham Canal. 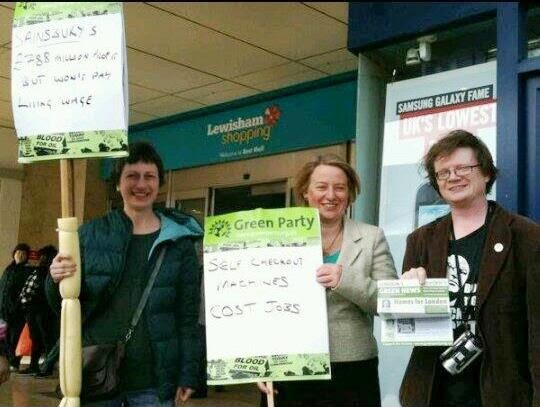 Last night Liberal Democrat blogger Andrew Emmerson tweeted this photograph of Green Party leader Natalie Bennett protesting against self-service checkouts. He called Natalie and her fellow Greens "Luddites" and found himself in a full and frank discussion with the Luddite Bicentenary account. It can happen. In the past I have made offhand remarks on this blog that have upset the granddaughter of an artist and an entire family because I did not like their ancestor's tomb. But I was interested in what was missing from the exchanges between Andrew and the Luddites' defender - someone once said that if two people are locked in an insoluble argument there is probably a false premise that they both believe to be true. The Luddites were close to the caricature of the left that sees them believing that supermarkets exist solely to provide employment to supermarket workers. Andrew, like many economic liberals, gave the impression that the claims of liberalism will be entirely satisfied if supermarket owners seek to maximise their profits. What was missing was the customer perspective. it is becoming increasingly difficult to do what generations of passengers have taken for granted: turn up at a railway station a few minutes before the train you want departs and buy a ticket at a reasonable price. Either you order your ticket in advance or you pay through the nose: no wonder they have problems with people not paying. It is one of the ironies that archetypal institutions of the free market system, such as fast food restaurants, require us to behave in a very disciplined manner if they are to operate at all. When Starbucks came to Market Harborough they brought leaflets telling us the language we should use to order our coffee. In a McDonaldized society, the non-human technology controls the customers as well. For instance, customers face a variety of structural constraints and they follow the norms when they enter a fast-food restaurant. All of these are ways to control customers at fast-food restaurants to act in a manner in which the business wants them to act. Ritzer elaborates on the effects of non-human technology in universities, hospitals, and supermarkets and illustrates how they are controlling customers’ wants and needs. Customers can, of course, vote with their feet and seek businesses that do not treat them in this way. I have, for instance, largely opted out of using Market Harborough's Starbucks because it consists of one large, echoing room (no doubt that gives them control) full of pushchairs and children on scooters. A little bit of Seattle, which is what you think you should be getting at those prices, it is not. But the nature of modern chains, with their huge marketing budgets and fanciful tax avoidance measures, is to make it hard for small businesses to compete with them. I am not sure I buy all of Ritzer's thesis, but I do think modern liberalism should be concerned with the texture of life as it is lived today and not just with the implementation of a limited number of abstract principles. Though, in fairness to Andrew, there is a limit to what you can say in 140 characters - particularly if you include a photograph. they sound like they've been lifted straight from Carnaby Street circa 1965, or like they were the house band on Shindig, or maybe recorded for Voxx in 1985. Basically, they are garage psych revivalists through and through, right down to the 12-string guitars, trippy backing vocals, and songs about weird characters, breakups with groovy chicks, and wallflowers. I am not sure No Expression takes me back to Carnaby Street, but it's nice to choose a contemporary song occasionally. East of Melton Mowbray station the railway runs beside the colossal Pedigree Petfoods plant. The factory was originally housed in an old sewing thread mill, but it has greatly expanded since then and parts of it are strikingly modern. 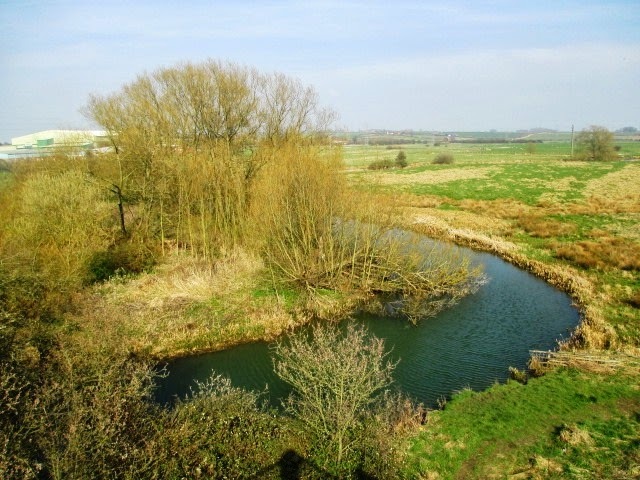 I found today that you can follow a footpath beside a tributary of the Wreake (or perhaps the Eye, as the river changes its name above Melton) and pass through the heart of the Pedigree Petfoods site to the banks of the river itself. 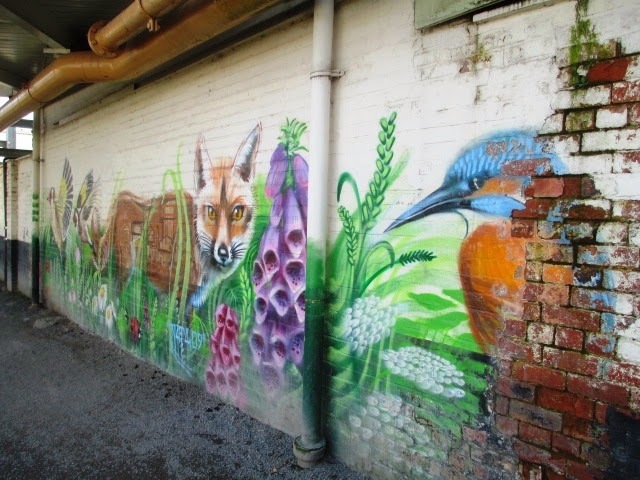 As well as the factory you get to see wildlife, a mural and a fine selection of weirs and waterfalls. There is even a low bridge under the railway that is closed off in times of flood. 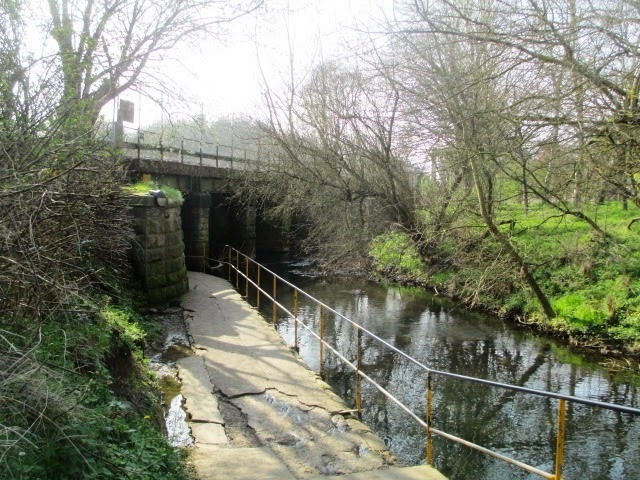 Ten or 20 years ago you would, from the train, always see children swimming by one of the weirs here in summer, but that no longer seems to happen. See Chris Ayriss's video about Leicester lidos for a take on the decline of outdoor swimming. I wondered while I was there if some of these watercourses I was seeing were the remains of the Oakham Canal. 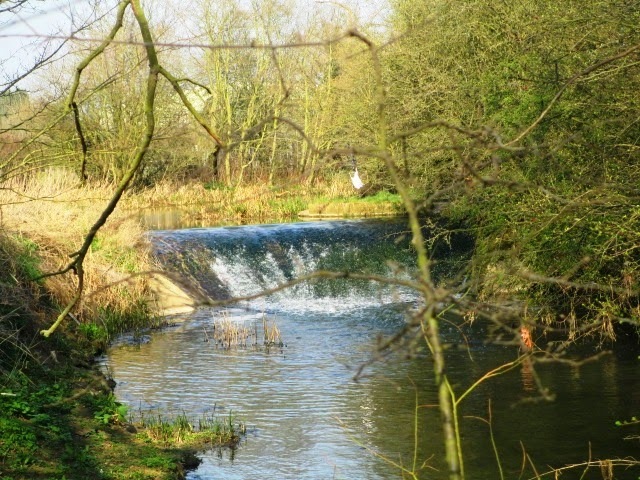 But it turns out that this took a course a little to the north of these Melton Mowbray edgelands that is now largely lost under the town's streets. You can trace it on the map on the Melton and Oakham Waterways Society site. Part 1 was posted a few days ago. There has been some discussion today of surviving candidates from the 1945 general election. It seems that there is one Liberal still with us - (Arthur) Walter James who fought Bury. There are three Labour candidates still alive: John Freeman, Denis Healey (who did not get into the Commons until 1950) and one other, whose names escapes me. The answer is in today's Times Diary, so if you have it to hand please leave the name in the comments. The Group also pointed me to an article that Walter James wrote for the Sunday Times when he turned 100. BBC Question Time's ignoring of the Liberal Democrats is now beyond a joke, argues Richard Morris on his blog A View from Ham Common. Edward Bindloss says: "In Brazil prisoners get four days reduced from their prison sentences for every book they read. The rule banning books being sent to prisoners in England and Wales should be lifted forthwith." And he's right. American Conservative evangelicals didn't always care much about abortion or contraception. Jamelle Boule tells the strange story of how they came to be obsessed with them on Slate. 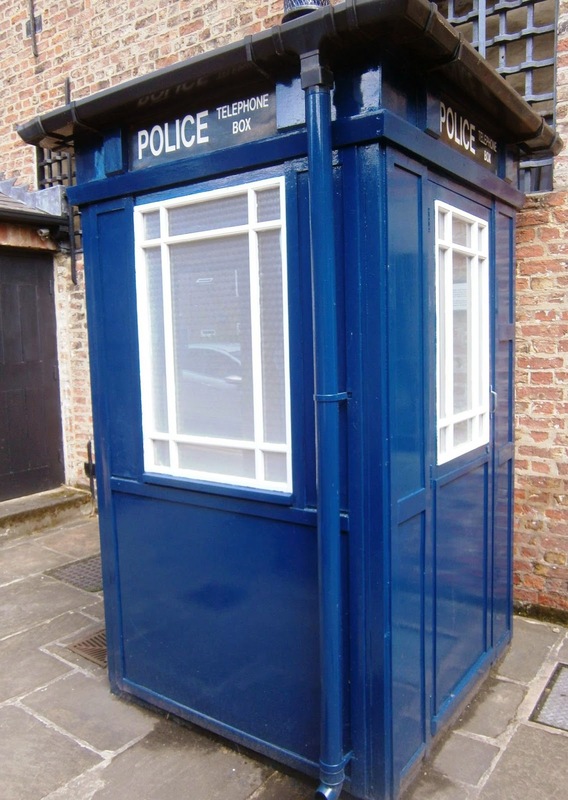 On Relative Dimension, a blog devoted to the science of Doctor Who, Iain Coleman ponders the physics and philosophy of time travel. Writing for The Ecologist, the Green MLA Jenny Jones calls for urban rivers to be restored to a more natural state. Plains of Almería on the chemistry of Chelsea's midfield pairing: "Matić’s contribution should not only be judged on his own immaculate performance level, but the tangible effect he has on Luiz. In our games against City and Arsenal the mercurial Brazilian was outstanding and this was largely down to Matić. Those familiar with Luiz’s level of play for Brazil will note the same effect Thiago Silva has on him. When paired with Matić the rashness disappears as does the tendency to try and force the play. We have not only bought one of the best midfielders in Europe for a pittance (Fellaini cost £7m more!) but also found a player who helps get the best out of David Luiz." Headline of the Day goes to the Daily Telegraph. I am still having fun exploring the GettyImages site. This photo shows Steve Winwood accompanying John Martyn at the Rainbow Theatre in Finsbury Park, London, on 21 November 1977. Steve Winwood played on two of John Martyn's LPs in the 1970s. Atmospheric film from 1959 of two Birmingham branch lines that, even then, had long since lost their regular passenger service. Both were closed not long after this film was made. Wikipedia has good pages on both the Harborne Railway and the Halesowen Railway. The latter included the extraordinary Dowery Dell viaduct - that link will take you to a video of it in an earlier post on this blog. The Harborough Mail reports the resignation from the ruling Conservative group on Harborough District Council of Colin Golding. He is the member for Broughton Astley's Broughton ward. 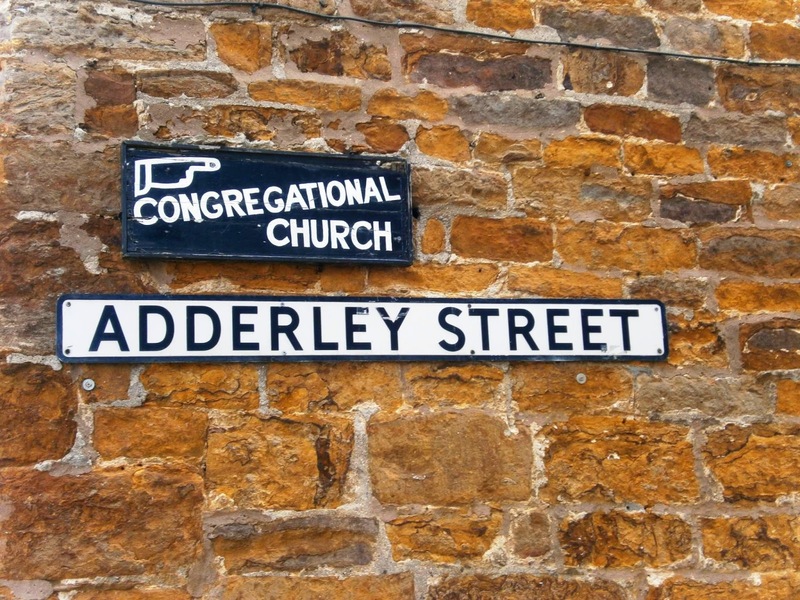 “I wish to make public the fact that I have withdrawn with immediate effect from Harborough District Council Conservative Group and for the remainder of the current council term intend to sit as an independent member representing Broughton Astley (Broughton ward). “I regret that my personal standards and those of certain members of the current Conservative administration do not align and I cannot compromise my principles by continuing to be seen to support an organisation which operates with such individuals at the helm. Note too the splendidly pompous response by the Tory group leader. Colin Golding is the second Harborough councillor to resign from the Tory group is recent weeks. Steve Charlish from Billesdon did so shortly before he was convicted of assaulting a woman by beating. Tony Robertson, a Liberal Democrat councillor from Sefton, says we are all poorly served by the current low standard of political debate. I often wonder how many politicians of genuine independent thinking may be left as year on year their all-controlling political masters churn out and then demand that silly sound bites are used during every media interview or are placed within every press release. ‘The squeezed middle’ comes to mind as a present favourite but there others which are just as meaningless. Ed Miliband, poor chap, seems to be fed a diet of them and looks so wooden as he tries to sneak them into every interview. But he is far from being alone as senior Tories do it just as hamfistedly. Sadly, I fear it is taking root in senior Lib Dems too. Of course it is not a new stunt ‘the Pound in your pocket’ comes to mind and ‘never had it so good’ as well but what worries me is that such pointless/meaningless phrases, which easily slip off the tongue, are now just everyday language to our political leaders. An MP who comes to mind who you would have to try hard to get to do sound bites is John Pugh of Southport, his independence of mind and thought is not easily contained or compromised. But I digress; the issue here is that politicians use sound bites to duck issues, to mud sling and to avoid answering questions. Why though do the media let them get away with it? Surely, a blatant sound biting stunt from a senior politician would benefit from a firm rebuff along the lines of ‘yes that childlike sound bite is all very well but it does you no credit as a supposedly serious senior politician’! Imagine the howls of indignation and protest, but so long as such media put-downs were fairly handed out across the political spectrum (which of course they would not be) would it not make the sound bite politicians far more wary about trying to take us all for soft Joe’s and Jane’s? Sadly, many in the media often serve us just as poorly as our political leaders, because of their own political/proprietor bias and unwillingness to take on those in power. As a free thinking Liberal one can despair at the poor quality of public debate either as it comes from politicians or as it is reported by the media. We are indeed poorly served. Tony Robertson blogs at Sefton Focus. Headline of the Day stays in the county, thanks to the Leicester Mercury. I spent the day at the launch of MindEd, which is a website aimed to give people who work with children and young people good advice on mental health issues. MindEd has been funded by the Department of Health and put together by a consortium of organisations, including my employers the British Psychological Society. The official launch was performed by Norman Lamb in his role as minister of state for care and support. Given the low ebb the Liberal Party was at when I joined it, I still get a kick from seeing us in government. I also liked a suggestion from one clinical psychologist who took part. Every proposed piece of new legislation must be accompanied by an environmental impact assessment. Wouldn't it be a good idea if it had to have a mental health impact assessment too? Headline of the Day turns out to be a win for the Northampton Chronicle & Echo. Here is a young Ming Campbell winning the 220 yards final at the AAA Championships at the White City in 1964. I have heard it suggested that Ming was not the most talented British sprinter of his generation: he just trained harder and tried harder than anyone else. You get a sense of that effort in this photograph. It is the same effort that turned the product a humble home in Glasgow to into a member of the Edinburgh legal establishment who later became an MP and the leader of his party. There is another picture of Ming on the gettyimages site. It shows him winning the silver in the 200 metres at the World Student Games in Tokyo three years later. And the gold medal winner is Tommie Smith, who staged his famous black power demonstration after winning the Olympic gold in Mexico City the following year. You can read more about Tommie Smith in a guest post on this blog by Matt Roebuck. Who should represent the Liberal Democrats in the chancellors' TV debate at the next election? 2013 - Marianne Faithfull sang for us while I wrote about her grandfather's libido-liberating Frigidity Machine. 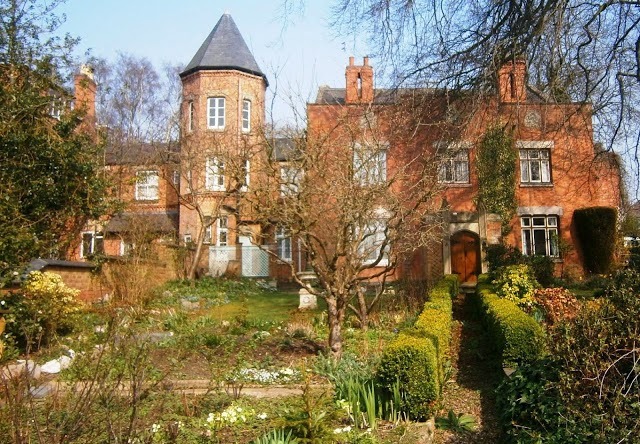 2012 - I visited the Portland Enclave, which lies off the London Road in Leicester. The picture above is taken from this post. 2011 - A guest post by Ruth Kinna offered a beginner's guide to anarchism. 2010 - Rory Stewart had compared Liberal Democrats to the Taliban. I remarked that I would be more outraged at this if I had not once begun a Guardian article as follows: "Fierce, bearded and wedded to an impenetrable ideology. Not a description of the Taliban, but the average commentator's view of the Liberal Democrats." 2009 - On Ada Lovelace day, I paid tribute to the woman herself. 2008 - I congratulated to the pro-Tibet activists who attempted to disrupt the lighting of the Olympic torch in London. 2007 - An amusingly shaped parsnip had made it from the pages of the Shropshire Star to the Guardian. 2006 - As so often in those days, my House Points column dealt with Labour's attempt to give the government more powers against terrorism: "Never mind traditions of local accountability and mistrust of an overmighty state: whisper the word “terrorism” and we are supposed to throwaway everything we believe in. The problem with today’s world is not that terrorists believe in their cause so strongly: it’s that the democracies’ belief in theirs is so weak." 2005 - Responding to reports that Mark Thompson had bit a colleague when working as editor of the Nine O'Clock News, Lord Bonkers said: "I knew Lord Reith well and never saw him bite anybody, but there were persistent reports in the 1960s that Hugh Carleton Greene had eaten a junior researcher." 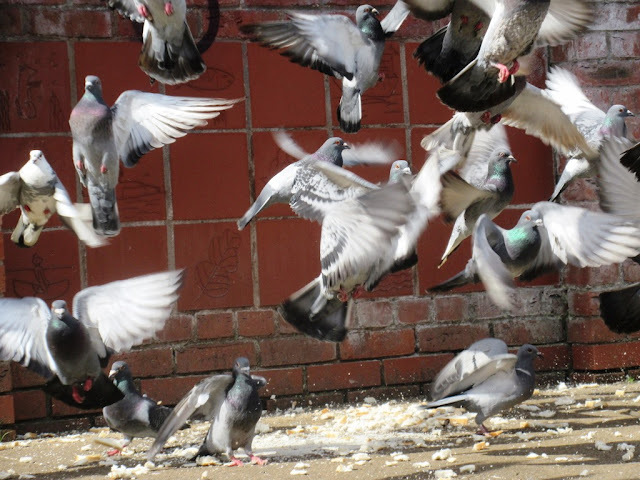 2004 - "Twitchy local authorities, obsessed with safety and frightened of compensation claims, are turning urban areas into 'fun-free, soulless' spaces," said a campaign launched on this day. 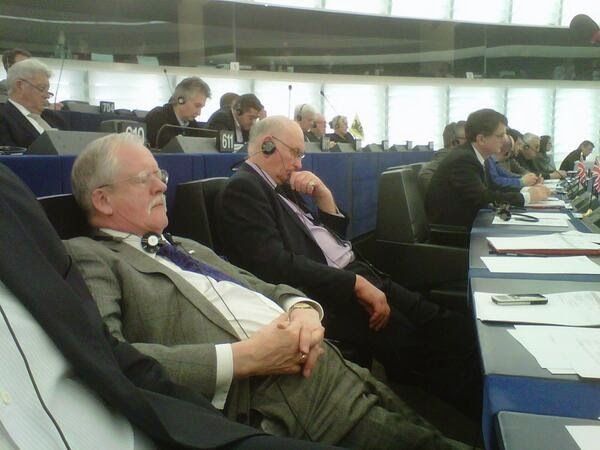 A studio debate for BBC's Sunday Politics between the MEPs of the East Midlands had been lively enough. Then it happened - the Liberal Democrat Bill Newton-Dunn lobbed in his accusation against UKIP's Roger Helmer. He accused the veteran former Conservative, now UKIP MEP, of "not bothering to turn up to vote" at the European Parliament. Mr Helmer was outraged and demanded an immediate on-air apology from Mr Newton-Dunn. Lynne Featherstone on the latest steps in the campaign against female genital mutilation. "The City of London threatens U.S. security and abets corruption. Revisionist powers like Russia have figured out this dynamic and are busy exploiting it." How others see us - in this case Nicholas Shaxson on The American Interest. Writing for Politico Magazine, Elizabeth Wahl explains what it was like to work for the Russian propaganda machine and why she quit her job on live TV. "The memorialising of Benn’s eloquence is not only nostalgia. It is a reminder that there is a fundamental connection between speaking well and democratic life in a just society. All of us, instinctively knows this. It is why the characteristic institution of a democracy is a debating chamber. It is why democracies put free speech at the top of their list of fundamental rights. And it is also why all tyrannies start by suppressing speech." 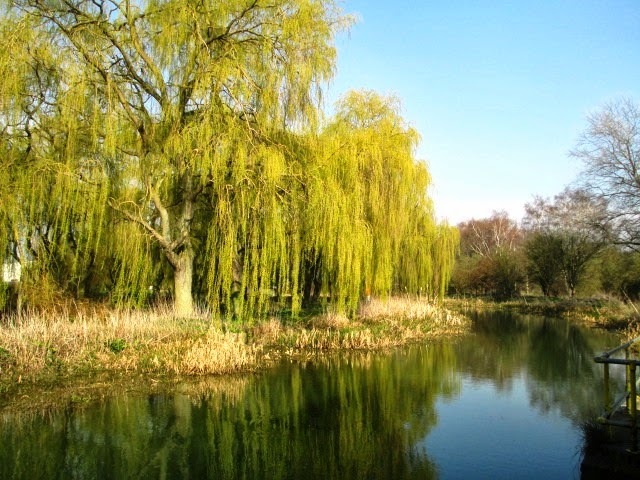 On the University of East Anglia blog Eastminster (geddit?! ), Alan Finlayson explains why Tony Benn was such a successful rhetorician. 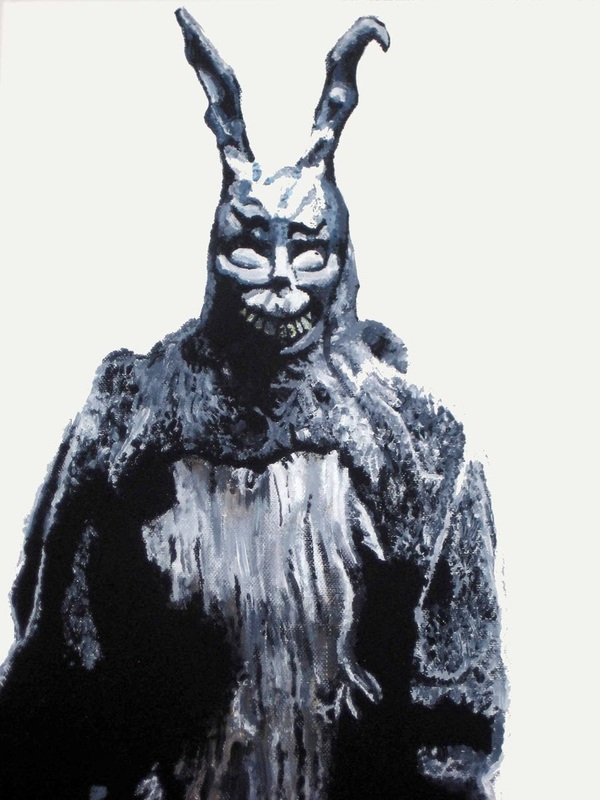 Declaration Game suggests Donnie Darko may hold the key to the exclusion of Kevin Pietersen. The Slate blog Atlas Obscura has some haunting photographs of Ani, the ancient capital of Armenia. The city declined over the centuries and was abandoned altogether by the mid 18th century. "To visitors, Turkey omits all mentions of Armenia from descriptions of Ani's history and focuses on the city's Turkish and Muslim influences." Another Spencer Davis Group track? It's a while since we had one. Besides, it is my birthday on Tuesday. But haven't we had a live version of Till the End of Time before? We have, but this is a different one that has just appeared on Youtube. 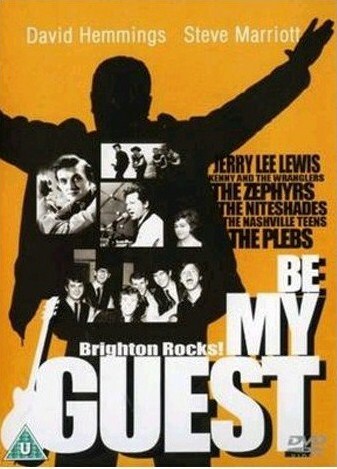 It comes from December 1966, so it must be on the group's last performances before the Winwood brothers left. Steve Winwood was about to form Traffic and get it together in the country. He has already bought the shirt for it. What was remarkable about Winwood in this era is that he went from recreating black American recordings as he is here to psychedelia without breaking step. Just listen to the first track on Traffic's first LP, Heaven is in Your Mind. If you like French television recordings of the Spencer Davis Group, don't miss the go-go dancers on Keep on Running. A documentary from 1986 looking back at the Border Counties Railway, which ran from Hexham to the remote Riccarton Junction over the Scottish border. This line was closed to passengers in 1956 and freight services continued over part of the line until 1963. Part of the route now lies beneath Kielder Water. There is more about Riccarton Junction, and many photographs, on the Disused Stations site. By far the most widely used threat was that of the nine o'clock horses which would mangle young children who were out too late, or even staying up too late. In some places they were called bell horses, which might indicate that the fear was originally connected with the curfew bell, which once rang at nine o'clock. I offer "The Nine O'Clock Horses" as the title for a novel or poem. 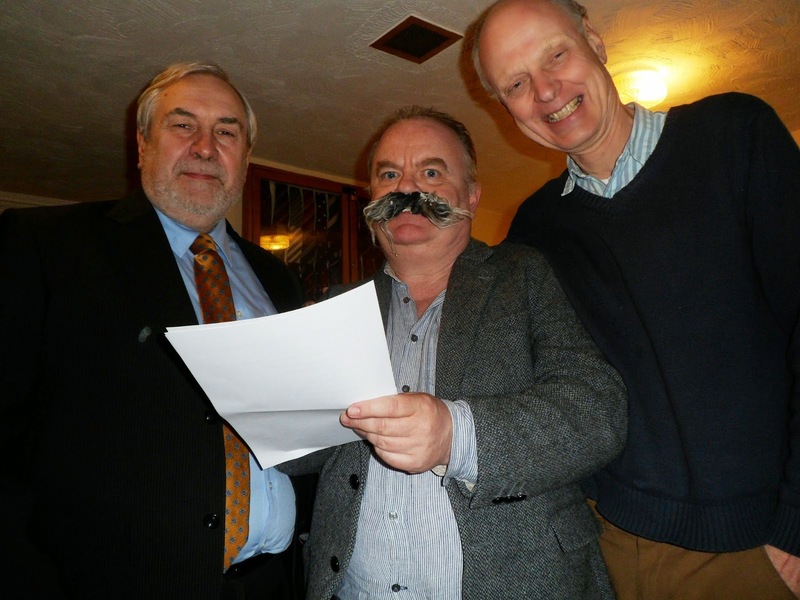 His lordship is seen discussing the international situation with Lib Dem East Midlands Euro candidates Phil Knowles (left) and George Smid. I have calculated that this is the 18th Budget to which I have responded in some capacity, and the fourth directly to the shadow Chancellor, Ed Balls. However, since he wrote many of the others, I was probably responding to him indirectly. Having heard the right hon. Gentleman over the years, I have picked up on some traits. First, he obviously has a capacity for a crunchy, memorable soundbite that often turns out to be wrong. I think he was the author of the phrase “No more boom and bust”, the consequences of which we are still living with. I also think he was the author of “triple-dip recession”, which of course we never had. When we first had these exchanges a couple of years ago, the right hon. Gentleman had a very good football chant going on the Back Benches behind him: “Growth down, inflation up. Unemployment up.” Now of course we have growth up, unemployment down and inflation down. His current favourite is the “millionaires’ tax cut”, which I would find a little more persuasive had I not sat on the Opposition Benches for 10 years being lectured by him and his boss that any increase in the top rate of tax above 40% would be counterproductive and damaging to the economy. One feature of the right hon. Gentleman’s speeches that we all look forward to is the annual conjuring trick, and the 10 different ways we could use a bankers’ bonus tax. The rabbit out of the hat trick gets progressively more difficult because the rabbit gets bigger and the hat gets smaller as time passes, so I shall remind him of some of the figures. When the right hon. Gentleman was City Minister and presiding over all of this, the total bankers’ bonus pool was something in the order of £11.3 billion, and it was £11.5 billion the following year when the Labour Government brought in a bankers’ bonus tax. According to the Centre for Economics and Business Research, which monitors these things, the bankers’ bonus pool was £1.6 billion last year. In the current year, it is estimated to be £1.3 billion. That is one-tenth of the size of the bonus pool on which the original tax was placed. We are then left with the question that is at the core of his fiscal policy: how is he going to get £3 billion in tax out of a £1.5 billion bonus pool? The charitable way to describe that is as a mathematical puzzle. We ought to refer it to the new Turing institute to investigate. I should perhaps declare one self-interest. I do not have an interest in the millionaires’ tax, but compared with both the shadow Chancellor and the Chancellor I am more likely to take advantage of the relaxation in the annuity rules. It is worth recalling that over many years I came to this House on many Friday mornings, with Back Benchers from my own party and Conservative Opposition MPs, to try to achieve this reform. We were confronted with relentless stonewalling by the Labour Government of the day, of which the right hon. Gentleman was a part and in which he participated directly, with the very simple message that pensioners were far too stupid and irresponsible to be trusted with their own pension savings. This is one of the really big, major positive changes to come out of the Budget. It is worth reading his whole speech. Thrill as he swats away what are supposed to be telling interventions from Labour backbenchers. Inspired by this blog's recent 10th birthday, I have been looking through the archives. Here is post from February 2005. It makes too much of a report in the Guardian, but I obviously enjoyed writing it. Sometimes it is hard to escape the conclusion that some people working in the public sector would be happiest living in a totalitarian state. "Borchester College?" exploded Brian. "Has she been on the horse pills? It's sheer madness. The college is full of Neanderthals ... Have you driven past it lately? Half of the students don't appear to have opposable thumbs." He then claimed the only facilities it had was to teach 'advanced hairdressing and media studies'. Well, I imagine that is pretty much what a bone-headed Tory farmer like Aldridge would say in such circumstances. But good drama has no place if you are a certain kind of public sector professional. his ill-informed criticism is hurtful to those who study and work at further education colleges and could have a very serious impact by dissuading people from choosing a learning environment which may be enormously beneficial to them. Leaving aside the apparent implication that any view anyone might find hurtful should be left out of drama, look at what nonsense this is. For "a very serious impact" to be felt, hordes of young people would have to tune to Radio 4 rather than any of the music stations, catch The Archers and then sympathise with a right-wing, middle-aged character. It hardly sounds likely. 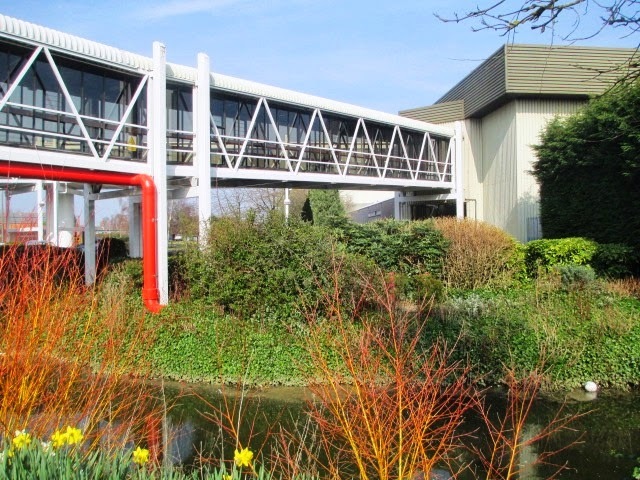 Then there is Claire Boxall, "communications manager" at Mid-Kent College in Chatham. She is quoted as saying that "this sort of coverage is not helpful". A splendidly pompous phrase that. Since when has the BBC existed to provide programmes that are helpful to Mid-Kent College? I am horrified: we all know that Brian is both opinionated and frequently wrong, but for the casual listener, it puts further education in a bad light. If she finds The Archers horrifying she must have led a pretty sheltered life. Note also the implication that while she is quite clever enough to understand drama, other listeners are not up to it. It comes exactly at the moment young people and their parents are choosing between the options of sixth forms and further education and the negative exchange could easily be used as evidence to base their decision. A soap opera covering an issue just at the time when people are in the real world are considering it too? Clearly, the government must act, particularly as the public are obviously so impressionable. John Brennan, chief executive of the Association of Colleges, has attempted to calm the situation by offering his services to The Archers' producers as a consultant on future plotlines concerning Alice's education. I do hope the BBC tells him what he can do with his offer. My favourite television programme at the moment is the reruns of Top of the Pops from 1979. You can see them on BBC4 at 7.30 on Thursday evenings - providing the DJ presenting has not been arrested under Operation Yewtree in the past few days. The pleasure of watching the show is greatly enhanced if you follow Top of the Pops Fax on Twitter. This evening, while Mary Ann by Black Lace was on, it tweeted possibly the great trivial fact ever. Certainly, it is my Trivial Fact of the Day. When my political hero Charles Masterman was appointed to the cabinet in 1914 he was obliged, under the law of the day, to resign as an MP and fight a by-election. The photograph above must come from that campaign. Masterman was defeated in Bethnal Green and again at a second by-election in Ipswich shortly afterwards. Unable to get back into parliament, he was put in charge of the British propaganda effort when the First World War broke out. Masterman is often described as an unlucky politician, and there is certainly something in that. However, his defeat at these two by-elections as the minister most associated with Lloyd George's health insurance measures, is a reminder of how controversial they were at the time. Thanks to Tim Holyoake for alerting me to the fact that images from the Getty site can now be freely embedded on blogs. Today's Headline of the Day Award goes to the Independent. 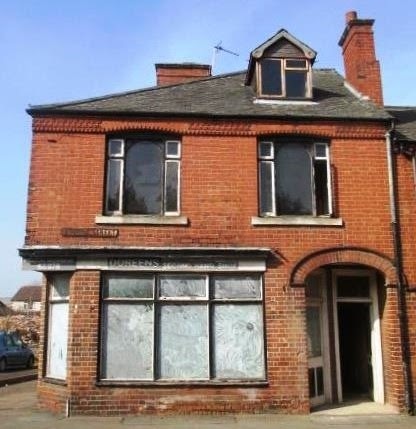 In York a couple of summers ago I came across a large derelict building on Piccadilly near the centre of the city. I thought it might once have been a tram depot. I was nearly right, but there is far more to its history than that. This unlovely building was put up in 1921 to house York’s expanding trolleybus fleet. 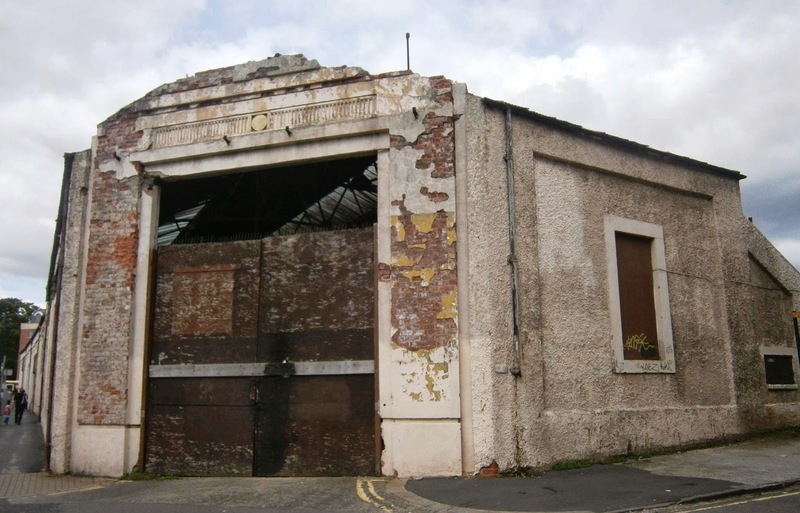 It closed ten years later when the new Fulford bus garage opened, in April 1931. Then, remarkably, the nondescript building became home to an aircraft factory. And not just any aircraft factory. Airspeed Ltd, as the company was known, was founded by Nevil Shute Norway – the deputy chief engineer to Barnes Wallis, who worked on the design of the R100 airship at Howden and later went on to achieve literary fame with A Town Like Alice as plain Nevil Shute. Also a partner in the fledgling aircraft company was a young Hull woman by the name of Amy Johnson. Airspeed rented part of the depot, and began building gliders and aircraft there. In 1933 Airspeed wanted to expand, but no help was offered by York Corporation. So the company left for Portsmouth. There is a plan to open an Airspeed museum in the building. But, judging by the most recent York Stories post about it, the scheme is likely to come to nothing. "Although it's fine to see the Lib Dems making an effort on this issue it is disappointing to see the dangerously false notion that there is a mythical "balance between security and liberty" trotted out unthinkingly yet again." 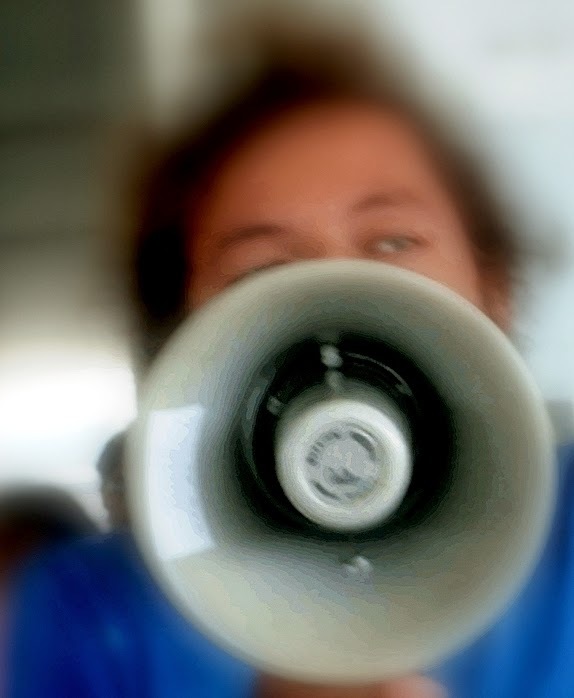 B2fxxx looks at our spring conference's call for a bill of digital rights. Keynesian Liberal, a representative of what he calculates to be Generation W, has some advice for the young: " If Generation Y would like in their old age to enjoy the comfort and security that we do they should stop voting for parties which bribe them with promises of lower and lower taxes, and realise that you get what you pay for." 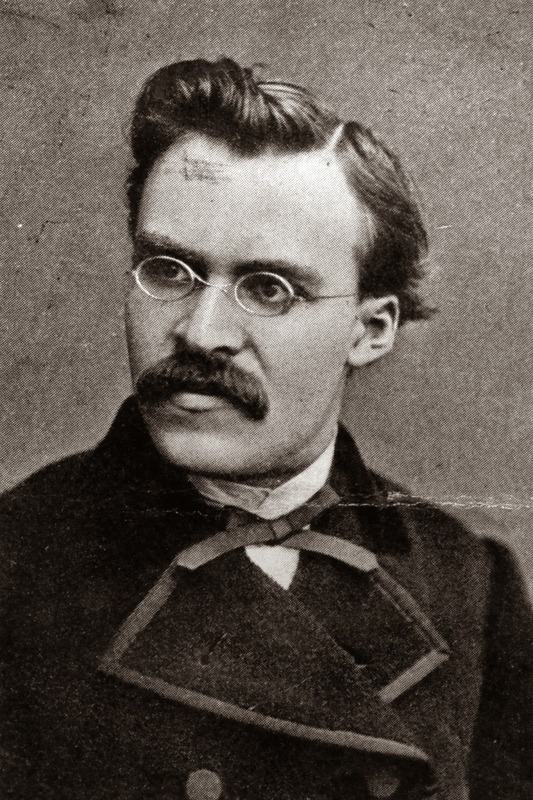 John Gray in the New Statesman argues that modern atheists should read Nietzsche. Internet Curtains takes us to the post-war Nottingham suburbs of Beechdale, Bilborough and Strelley. While thamesfacingeast visits a remarkable church beside the South Circular Road - and the Frankie Howerd Community Hall. Wartime Housewife has found a poem about the Rugby to Peterborough railway line. Today's Headline of the Day Award is an easy win for the Evening Standard. This video, shot at Addlestone on 18 January 2013, shows Clan Line making light of the wintry conditions. 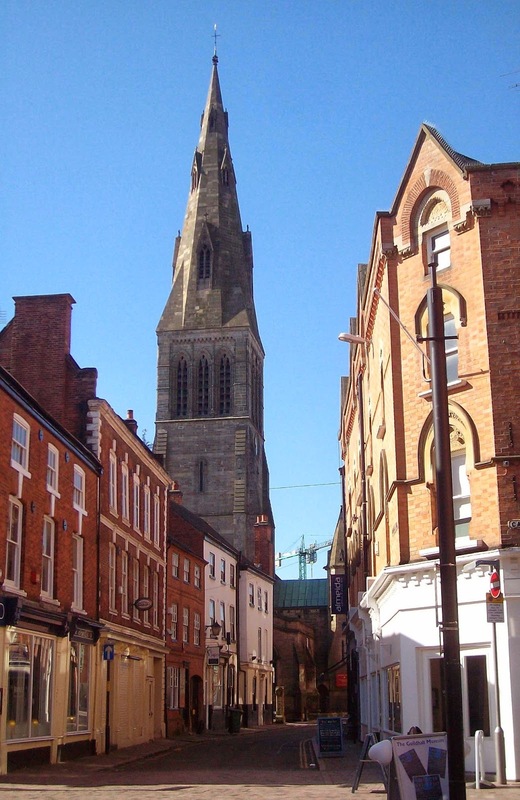 Mike Pitts - Digging Deeper, a blog about archaeology, has a terrific post on the hearing of the Plantagenet Alliance's case against the decision to rebury Richard III's remains in Leicester Cathedral. It is an extended legal sketch, with vivid portraits of all the main players. There is no doubt where the wind blows. Beaming in the bright light, Richard Buckley sets off to buy cheese at Covent Garden before heading home to Leicester. Counsel for defence stride confidently out into the streets, laughing and chatting. Philippa Langley talks to journalists, looking anxious. After the first day, I told Buckley I would eat my hat if the Alliance won. 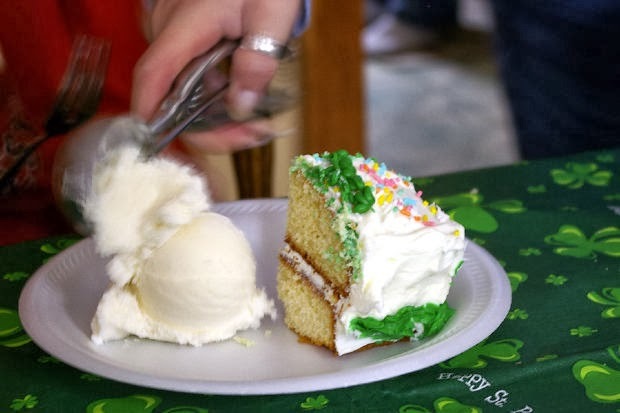 He famously had to eat his when they found Richard III, which he did in the shape of a cake. No one, I feel, will need to bake for me. He also argues, as I have done, that the implications for archaeology will be appalling if the Alliance wins. Last October I suggested that the HS2 project had become an example of what Roger James, a populariser of Karl Popper's philosophy, has called "solutioneering". Today, as if determined to prove me right, the head of the HS2 project complained about the level of parliamentary scrutiny the it is receiving. Higgins said he was hoping that the HS2 bill would get royal assent in 2016 so that work on phase one could start, as planned, in 2017. Challenging the politicians to get legislation through as quickly as possible, he said: "The more certainty there is about the timescale, the more possible it is to control cost through economies of scale. That is why getting clarity over the duration of the parliamentary process is key. The more clarity parliament can provide the more I can reduce contingency and therefore the ultimate cost. "This project is too big to become a political football," he said, adding that parliamentary scrutiny of HS2 was important, but was obviously time-consuming. The argument that, because HS2 is a major project, it must receive only limited scrutiny is odd. Surely that is precisely why it should be closely examined? Note too that this morning's report envisages yet more major changes to the plans for HS2. Again, these changes should be examined, not waved through. I like railways, but I know a weak argument when I see one. If people think HS2 is a bad idea they should say so. This is not making 'a political football' of HS2. It is called parliamentary democracy. The internet is one giant, virtual cat park, its foundation is one of cat fur, and its currency is the miaows of millions of kittens who lie patiently in wait for you on YouTube, Facebook and Twitter, acting like they pretty much own the place. These are indisputable facts, but nobody has ever been able to come up with a suitable answer to the attendant question: why? Why are there so many cats on the internet? The problem is that they are asking the wrong question, which should not be "Why cats?" so much as "Why not dogs?" And the answer is that dogs are trying too hard. When a dog gets in a box or hides under the duvet or wears a funny hat, it is because he is desperately trying to impress you – longing for your validation and approval. When a cat does one of those things, it is because it felt like the right thing to do at the time. And it usually was. It is cool, and effortless, and devoid of any concern about what you might think about it. It is art for art's sake. We all know Elvis's version of Hound Dog, but the original song is far better. It was written by two white teenagers, Jerry Leiber and Mike Stoller, and recorded by Willie Mae "Big Mama" Thornton - you can hear that 1952 recording on Youtube too. The sanitised, near-nonsense version recorded by Elvis - Did he think he was singing to a real dog? Did he expect his woman to catch rabbits? - was rewritten by the squeaky-clean white act Freddie Bell and the Bellboys. "White boy, don't you be tellin' me how to sing the blues." The Eastern Daily Press wins Headline of the Day. 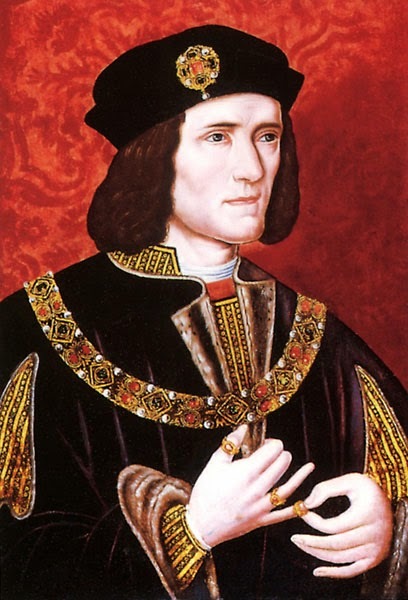 I wrote a long post on the controversy over the reburial of Richard III last September. As the hearing took place this week and the question is being discussed again, I thought I would report the most important part of it. There are lots of arguments to be had about Richard III's reinterment, but I find two compelling. Firstly, if a court over-rules the Ministry of Justice's licence to exhume and then rebury in Leicester cathedral, it will destroy the authority of that licensing system, which is essential to the preservation of the dignity of the human beings whose remains are moved. Secondly, it will empower future hyena packs to cash in on the archaeological work of others, without ever having to initiate, organise, fund or take financial risks on complex multi-agency projects themselves. This can only harm the future of heritage investigation and protection projects, especially in times when state funding for such work is disappearing fast. Note the rich ironstone, which is typical of the town's buildings. It makes you wonder how famous this little town would be if it were in the Cotswolds rather than Rutland. Congratulations to Andy Boddington for a great win in the Shropshire Council by-election last night. Liberal Democrats are celebrating after winning the ‘safe’ Conservative stronghold on Ludlow North in the by-election for Shropshire Council following the decision of Rosanna Taylor-Smith to stand down and leave the area. Andy Boddington topped the poll with 579 votes well ahead of the Conservative candidate Anthony Bevington (382). The Independent Graeme Perks was third with 223 votes followed by the Labour/Co-operative hopeful Danny Sweeney with 94 votes. With York still in many readers' minds, this is a good time to post this photograph. St Helen's Square is famous for Betty's, but when I was a student there was an even classier establishment across the road. Terry's shop sold chocolate downstairs and had wonderful tearooms upstairs. Thinking about it, the business may have closed while I was living in the city. 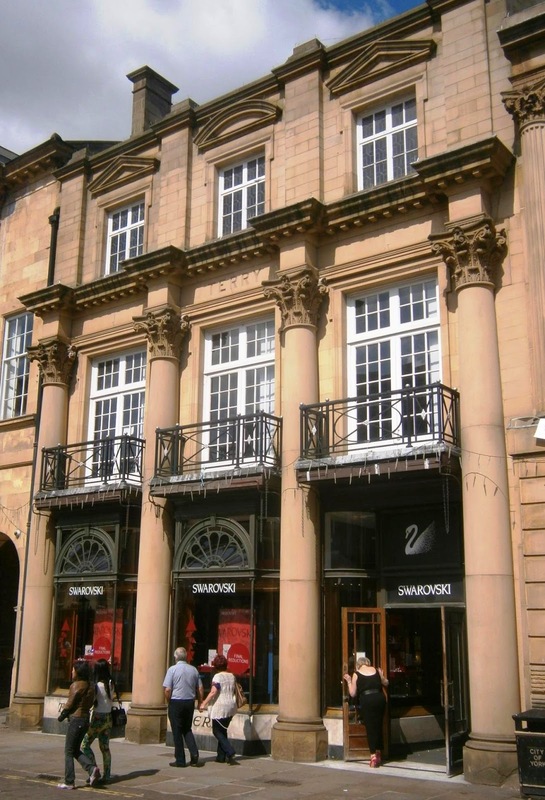 Today the building is occupied by the jewellers Swarovski - I seem to recall the National Railway Museum had a shop there for a while. Though the passers-by are doing their best to disguise the fact, you can still see 'Terry's' on the front of the building. Celebrating this blog's 10th birthday the other day - and thank you for all the kind comments - I said I would look through its archive and see if any posts would bear republishing. This is an example of House Points, the weekly column I wrote for the late, lamented Liberal Democrat News for many years. It appeared in the paper, and on this blog, in April 2004. Charles Kennedy was missing on Monday. Not from the Commons – he was there to hear Tony Blair describe how well things are going in Iraq – but from Blaby Road Park, South Wigston. He had been due to visit the Harborough constituency until events at Westminster got interesting and forced him to cancel. But we still had a television crew, Bill Newton Dunn and several local councillors. They were there to mark the success of the district council (Liberal Democrat-run Oadby and Wigston) in reclaiming the park from underage drinkers. It is a thoroughly modern initiative involving anti-social behaviour policies, alcohol bans and community support officers. In essence, councils are reinventing park-keepers. They were got rid of 20 years ago because the right wanted to cut taxes and the left believed they were crypto-fascists. The South Wigston project also involved the building of a skateboard park. What a photo opportunity that would have been for Charles! Skateboard parks mean bare concrete. And bare concrete means graffiti, which poses a dilemma for officialdom. These days it is too self-doubting to say graffiti is a bad thing but not relaxed enough to let events take their course. I had expected to have naughty libertarian doubts about the Blaby Road scheme. But it seemed a sensible idea and I liked the municipal flowerbeds. After leaving the park I walked into Leicester down streets of council housing. 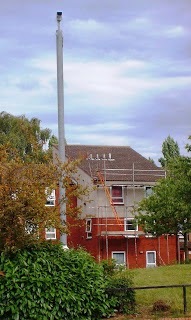 You could tell they were council houses because of the tall metal columns topped with CCTV cameras. The scene was a cross between the old East Germany and a work of science fiction. And at Westminster there is now a screen across the public gallery, supposedly to protect MPs from gas attack. You could call them cowards, but they seem to have had little to do with it. It was an initiative from the security services. Conspiracy theorists will believe they put it up to keep MPs in a state of fear. If you listen carefully, you can hear Bin Laden laughing. Sooner or later Labour governments run into a paradox. The more ambitious their spending plans get, the more they have to tax the very people those plans are intended to help. So I was happy to support the Liberal Democrat policy of significantly raising the tax threshold to take a lot of poorer people out of the system altogether. And pleased to see the Coalition put the policy into effect so that people do not pay tax on the first £10,000. Now the Lib Dems and the Conservatives are engaged into a contest to raise the personal allowance even further. Clegg has said he would like to see the income tax threshold raised to £10,500, worth £100 a year to basic-rate taxpayers. The deputy prime minister has said his ambition is to eventually raise the rate even further so no one pays any tax on the equivalent of the minimum wage, which would work out at a threshold of around £12,500. And Lib Dem chief secretary to the Treasury Danny Alexander said it would be a "top priority" of the party to "raise the personal allowance dramatically" in the next parliament - suggesting it would be a red line for the Lib Dems in any coalition negotiation. But hold on. The setting up of the Coalition was predicated on the need for unprecedented austerity. If we can't afford to maintain public spending at levels that Liberal Democrats would like, how come we can afford further substantial tax cuts? Browne said he was "slightly unnerved" by the "Dutch auction" at the last Lib Dem and Conservative conferences where the two parties traded off policies. "The Conservatives promised extra money for a marriage tax break and the Lib Dems promised to spend extra money on giving free school meals to all infant school aged children," he said. "The message I find that sends is there is money to splash around and I think it's a difficult message to send at the same time when you told the electorate that educational maintenance allowance or child benefit for taxpayers above a certain threshold is unaffordable." He added: "We still have a big deficit by any standard, just because it's less colossal than before doesn't mean its not still big." Browne said there was a "tendency of all parties to start getting ready to do the giveaways before there is anything to actually give away." My feeling is that Nick Clegg's support for further tax cuts is driven by politics rather than economics. He hopes that the Lib Dems will be identified in the public mind with these cuts and reasons that the more of them there are, the more popular we shall be. But, like Jeremy Browne, I wonder whether there is any economic justification for these cuts at a time when public debt it still growing. Perhaps unlike Jeremy, if there is scope for reigning back on austerity then I would rather see the funding of local services - the sort we have always taken for granted, like buses and museums and libraries - given priority. That is, after all, what people thought they were voting for when they voted for our councillors and for our candidates at the last election. Thanks to Lib Dem Voice for putting me on to this article. Incidentally, their picture of Jeremy Browne' is much better than Huffington Post's because he has a beard. Our Headline of the Day comes from Canada and the Toronto Sun. If I had to name a favourite Underground line, this would be it. Your favourite may well have featured here before: the District, the Central, the Jubilee, the Northern or the Bakerloo. Occasioned by the disappearance of Malaysia Airlines Flight 370, Boing Boing points us to the Wikipedia's List of aerial disappearances. As Boing Boing says, "In general, these disappearances have a couple of important details in common — they're usually relatively small craft carrying a small number of passengers." However, I would like to put in a word for British South American Airways, which lost three planes in the years immediately following World War II. Star Tiger and Star Aerial remain lost to this day, while the wreckage of Star Dust was found on Mount Tupungato, on the border of Chile and Argentina, in 1998. The most striking entry on the Wikipedia list is Walter Powell, Conservtive MP for Malmesbury, who drifted away in a hot air balloon in 1881. In December 1881 Walter Powell flew his balloon, Saladin, with two friends to take some meteorological observations. They found themselves being blown out to sea and had to make a rapid descent near Chesil Beach. They landed heavily and his two passengers and some ballast were thrown out; one of them breaking his leg. Powell stayed in the basket but the balloon, now much lighter, took off once more. Water Powell was last seen waving to his companions as the balloon disappeared out to sea. A by-election was held in Malmesbury the following year. Is this the only by-election ever called without the previous member's resignation or his body being found? The end of another week at Bonkers Hall, though you can hear the old boy speak in Leicester next Friday. My peers has been complaining about the catering at the House of Lords; one claims he was left “scarred” after his booking was cancelled and that his wife was “unable to lunch elsewhere” because she was wearing a tiara. What nonsense! If the first Lady Bonkers and I found there was no table for us we would take a taxi to the East End and dine on pie, mash and liquor or jellied eels, all washed down with draughts of porter, before enjoying a good cockney knees up at the Crippled Canvasser (the haunt, incidentally, of the notorious gangster Violent Bonham-Carter). My wife was even known to display the latest choreography of the Ballets Russes atop one of the tables there, while an audience of costermongers, chimney sweeps, Pearly Kings and Queens and Sir Percy Harris applauded her. But whatever turn the evening took, she wore her tiara throughout. Thursday: A future leader of the Liberal Democrats? Saturday: Do you know the North Koreans? Today is Liberal England's 10th birthday. It will spend the day climbing trees, shooting up, swatting for SATS or whatever it is 10-year-olds do these days. 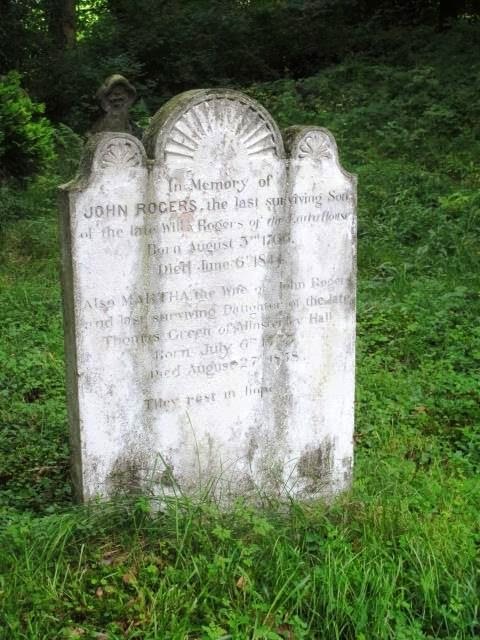 My first post - Britain's oldest Liberal Democrat? - appeared on 11 March 2004. Sadly, Anita Taylor died later that year, though she does seem to have recorded a DVD of her memories of Newtown a few years before. 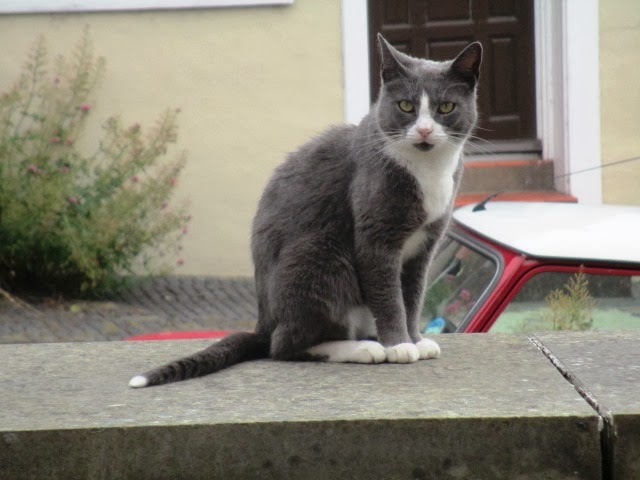 The post also mentioned Lembit Opik and Lord Bonkers, who have kept my readers entertained with their antics ever since. 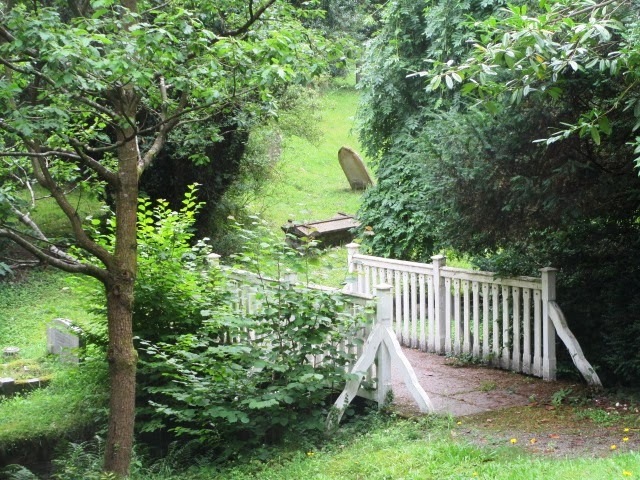 Liberal England went into hibernation over the summer of 2004 as I battled with malware on my PC. Sorting that out was my first technological breakthrough. The others were getting broadband in 2007, which allowed me to start embedding videos, and buying a digital camera in 2009. I don't want to write about myself, so I suggest you read In praise of Jonathan Calder by Mark Valladares while I blush prettily and stare at my shoes. I shall use this birthday as an excuse for looking back over some old posts - particularly the ones from the early years before I had many readers - and republishing a few that will bear re-reading. Headline of the Day goes to the Guardian. Yesterday would have been Bobby Fischer's 71st birthday. On that day Garry Kasparov, the only player who stands higher in the history of chess, visited his grave. The Dorset Echo wins our Headline of the Day Award. A cracking Look at Life from 1964. The film may be 50 years old, but the similarities to today are more striking than the differences. These were the days before BEA and BOAC merged to form British Airways. As I recall, if you were in the know you pronounced the latter as two syllables - "Bo-Ac". Lord Bonkers' Diary: Do you know the North Koreans? Do you know the North Koreans? Charming fellows, though it is best to keep on the right side of their chief man and not to let your spaniels run loose when they are in the neighbourhood. I was talking to one of them the other evening and he told me something interesting: if someone in downtown Pyongyang feels he is getting the rough end of the stick from a fellow North Korean, then he is likely to accuse him of behaving in a way that “makes the internal disciplinary procedures of the Liberal Democrats seem benign, and anything done by Nick Clegg’s thugs to extract confessions from Chris Rennard’s courtiers gentle”. John Pugh introduces "Grim Up North?" - a call for a rebalancing of the British economy by a group of Liberal Democrat MPs from the North of England - for Liberal Democrat Voice. "Putin’s great fear is that the people of a future better Ukraine might inspire an entirely different unification with their East Slav brethren on his side of the border – a common cause of popular revolt against him and other leaders like him." James Meek reports from Ukraine for the London Review of Books. Iain Dale pays his tribute to Marion Thorpe. "Reaching the conclusion that you are part of a minority that’s smarter than everyone else does rather incline one to authoritarian or undemocratic politics." Matter of Facts reveals the nasty side of nerds. 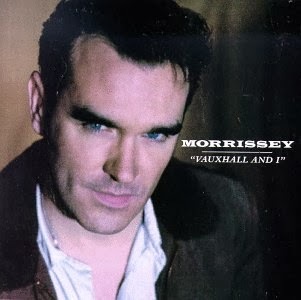 It is, incredibly, 20 years since Morrissey's 'Vauxhall and I' was released. The Mouth Magazine marks the anniversary. Jones the Planner visits the Thames estuary: "It is difficult to leave Thamesmead without a sense of disappointment. Clearly, the visionary concept was flawed but it honestly expressed social purpose and optimism for the future. Most of what we see today suggests tawdry short termism and self serving hype." I call in at Great George Street to tip off the party’s bigwigs about a fellow called Hancock. Between you and me, gentle reader, he has been up to no good in both Portsmouth and far Azerbaijan, and the party must Do Something about him – I am also told that Fleet Street’s finest are on his case. 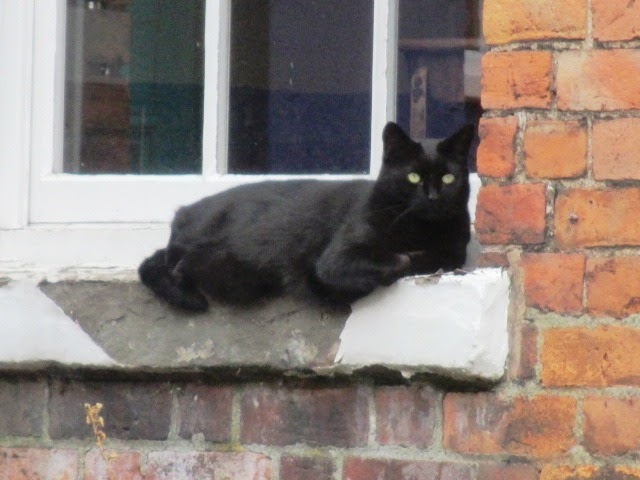 I look across and – by Gladstone! – sitting behind a desk is the very same rabbit that I nearly ran over the other and it has that familiar silly expression on its face. I fear this will not end well. After The Zombies broke up in 1968 Colin Blunstone briefly held a proper job in insurance. He then set out on a highly regarded solo career. This video from 1971 shows him at his peak. "Say You Don't Mind" is a Denny Lane song, which The Zombies used to perform as an up-tempo number. Blunstone reached no. 15 in the UK singles chart with this very different arrangement. Lord Bonkers' Diary: A future leader of the Liberal Democrats? At a reception this evening I find myself talking to a charming lady by the name of Miriam-Gonzalez-Durantez. She turns out to have trenchant views on the public schools. “Some people from some of these top schools are fantastic but there are lots of people from these top schools who are unimpressive,” she tells me. “Quite right, my dear,” I reply. She goes on: "I know far too many that come out of there without speaking a single foreign language." As I am observing that speaking a lot of languages isn’t everything and pointing to that fellow Clegg as a case in point, she suddenly recognises an old friend on the other side of the room and disappears from view. Nevertheless, I am convinced she is Sound. Why does one never hear her spoken of as a future leader of the Liberal Democrats? Photographed last summer. I think he also won this award in 2011.
Who should I see coming down the Committee Corridor at Westminster but our own Nick Clegg? He sees me too and tries to dive into a hearing on white fish, but I take a manly grip upon his shoulder when he is not halfway into the room. “What this about your supporting the removal of citizenship for people have been convicted of no crime?” I hiss. “I hardly think the Home Secretary would go around persecuting innocent people” he replies, before wrenching himself from my grasp and diving under a table. Driving home this evening, I am pleased to reach the woods and hills of Rutland. As dusk falls I see a rabbit sitting in the lane in front of me. Expecting it to lollop off as I approach, I do not slow; but it just continues to sit there with a stupid vacant expression on its whiskery face, even when I sound my horn. So I am forced to jam on my brakes and stop in the nick of time, whereupon I give the slow-witted creature a piece of my mind. Labour's press team has been having fun with the result of yesterday's local by-election in Nottingham, where the Liberal Democrats finished behind the Buss-pass Elvis Party. The result is a reminder that, though we Lib Dems are doing well in our areas of strength, our vote can by close to non-existent in areas where we have no history of campaigning. But as a pointer to the next general election it has little value. There was, however, a local by-election yesterday that does look significant from that angle. Last night the Conservatives gained the Rambsbottom ward on Bury Council from Labour. Ramsbottom, where my mother was born, is part of Bury North which was taken by the Tories off Labour at GE2010. It is a seat that EdM really has to win back at GE2015 if his party has any hope of forming a majority. It is a ward that has a history of hard-fought contests between CON and LAB. In 2011 the two parties tied and LAB was given the seat after lots were drawn. A key factor in this latest election was the very high number, 60% or so, of postal votes which is vey good indicator of local party organisation. So a very good result for the Tories and a very bad one for Labour. 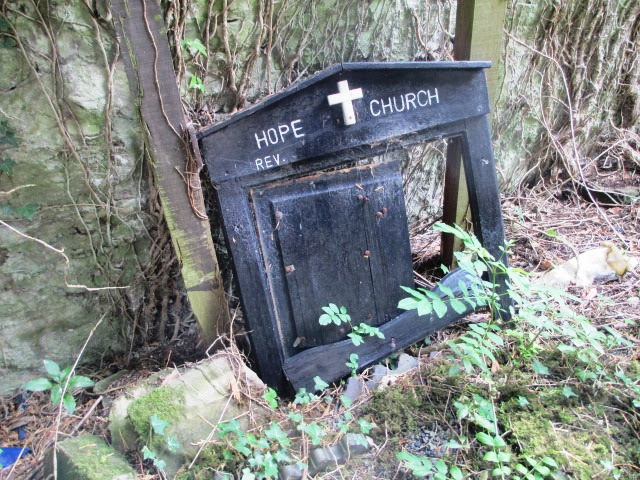 This little 19th-century church is still in use. 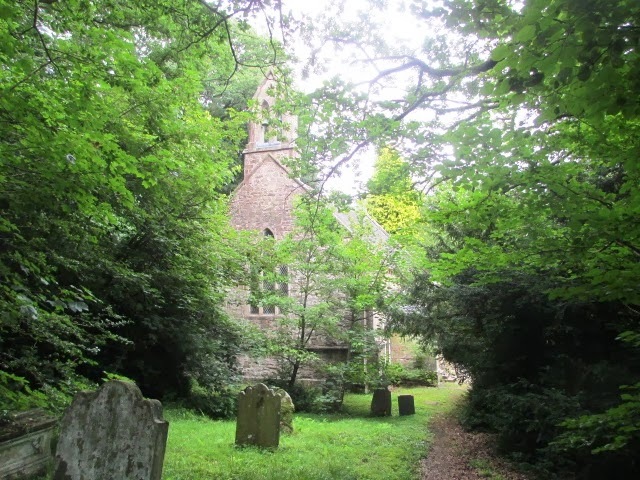 With its churchyard, it occupies a wooded valley beside and below the A488, which makes it hard to spot as you speed past. They rest in hope. Taking a break between meetings at the National Liberal Club in Whitehall, Bowles says she is not looking to change the bonus cap legislation, but acknowledges that "what angers a lot of people is that the overall sum, no matter what it is called, is too big. And to be honest there is nothing you can do about that unless there is rehabilitation of banking in general back to the ranks of normal." That is still some way off, she says. "I think the nature of banking will change: it is going to be harder for the banks to be able to engage in risky structures," she says, citing plans to separate risky investment banking from high street operations. These are the fundamental reforms that matter, she argues, rather than "the bit on the side" about bonuses. Marion Thorpe, the second wife of the former Liberal leader Jeremy Thorpe, died earlier today at the age of 87, reports Norman Lebrecht. She is survived by Jeremy Thorpe and her three sons from her first marriage to the Earl of Harewood, a cousin of the Queen. Last year, the composer's centenary year, she spoke to the BBC about her long friendship with Benjamin Britten. From time to time I am asked by the leaders of our party to entertain a fellow at the Hall. “Give him the best of everything,” they tell me. “Bacon and eggs, shooting, Auld Johnston and so forth. Treat him right and he is good for a cool half million.” It happened under Jeremy Thorpe, it happened with a fellow called Brown under Kennedy, and only the other day Clegg sent someone called Choudhrie to stay. As a loyal Liberal and Liberal Democrat I have always done my best to oblige, but I have learnt that it is wise to count the teaspoons before you wave one of these fellows off. I mention this last guest to the Revd Hughes when he calls this evening on some matter to do with the fabric of St Asquith’s, but he proves strangely reluctant to discuss the subject.